Tierra Hosting provides top-class Joomla solutions. We offer new clients an automatic Joomla script installation right at signup. Current customers can install Joomla with a single click. With Tierra Hosting, you can order a Joomla-optimized web hosting plan along with a brand new domain name for as low as $3.25 a month. 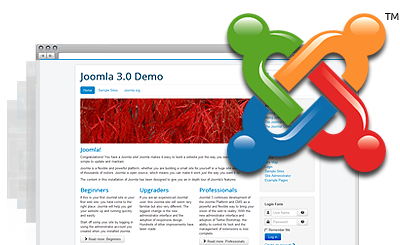 Joomla™ is a trademark of Open Source Matters and is not connected with Tierra Hosting. Upload your Joomla-based website online in a New York minute with Tierra Hosting! Tierra Hosting covers all requirements for hosting Joomla-powered sites. Tierra Hosting offers an excellent customer care service.